"It's a struggle to find a bet isn't it? 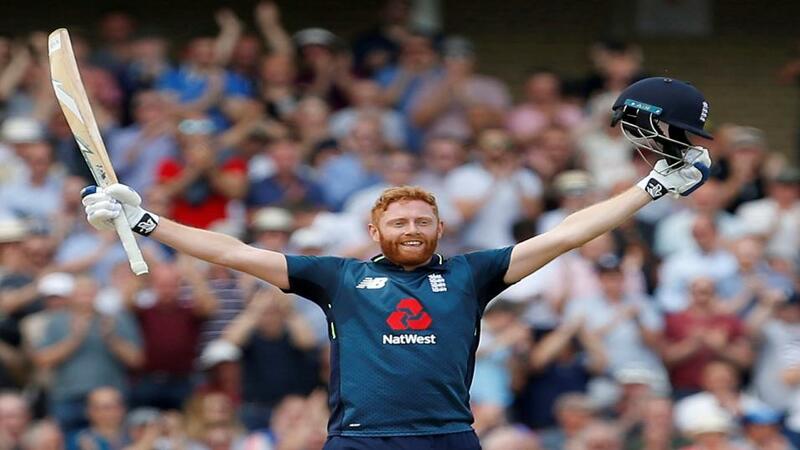 Our best hope is that Australia somehow post 320-330 and we are able to get with this England batting in a chase"
Eoin Morgan, the England captain, said the 242-run humiliation of Australia at Trent Bridge, was "pretty close" to the complete performance. One wonders what a complete performance would like if it wasn't that. England eviscerated Australia. They did what a Big Eight team might do to a minor county if they had the motivation. It was extraordinary. Records - like the highest ever score and heaviest runs-margin loss for Australia - were obliterated alongside any notion that this series was a contest. Australia looked beaten with ten overs of England first-innings gone and it was something of a surprise that England didn't bust 500. But they will settle for the 481 for six. Alex Hales was the man of the match for his 92-ball 147 while Jason Roy and Jonny Bairstow's centuries were put in the shade. Eoin Morgan's 66 off 30 took the mickey. It was notable how England demoted Joe Root to No 7 as the carnage ensued. As England have evolved into the most-feared batting unit in the world, do they need him? Ben Stokes will not return for this series but he is a certain starter so who else do they drop when he does? Hales? It is likely that England will look to shuffle their bowling pack for this one. It is important that fringe players gain experience and the likes of Jake Ball and Tom Curran might get a game here. In the context of the long-term, Australia should not panic. As skipper Tim Paine said, in between admitting the massacre at Trent Bridge was his toughest day in 17 years, they are shorn of experienced players. This is a second XI Aussie outfit without Steve Smith and David Warner and their first-choice bowling attack of Mitch Starc, Josh Hazlewood and Pat Cummins. They will be better in 12 months' time for the World Cup. They couldn't be any worse, granted. But short-term, they have gone. There are still talented players in this squad, notably the likes of Shaun Marsh, Aaron Finch and AJ Tye. But they have been blown away by England's high standards. The two teams are playing different games. What can Australia do to stem the tide? Hope for rain, a minefield of a wicket or bout of norovirus in the England camp. They certainly can't catapult a couple of players into the XI to change their fortunes. Alex Carey, the Adelaide Strikers keeper, is a terrific batsman and could play as a specialist. Calling on Nathan Lyon's nous also makes sense. There hasn't been an ODI at the Riverside for three years. New Zealand posted 283 against England who chased a revised target with three wickets to spare. Historically it is a wicket which has not been full of runs. More than 300 has been scored once in 15. But the game has moved on quickly. There have been only five games in eight years. In county cricket, 328, 299 and 255 were the first dig scores in the Royal London. Durham's bowling, however, was shocking. Early prices see England at [1.53]. We're surprised they're not shorter and they probably will be by the off. Australia, however, cannot be considered at less than [3.00] after the nightmare in Nottingham. Will they get any help from the weather forecast? Not at the moment. No rain is expected and there may be only a small amount of cloud cover. It's a struggle to find a bet isn't it? Our best hope is that Australia somehow post 320-330 and we are able to get with this England batting in a chase - their speciality - at around [1.8]. Bairstow has good memories of this ground having orchestrated that win over the Kiwis. He rescued England from certain defeat. They were going after 192 in 26 overs and were deep in the mire at 45 for five. But finding a top-bat winner for the hosts is increasingly tough. The front three, including Roy and Hales, are in such buoyant form it becomes something of a guessing game. Check prices for Carey early on. He will surely play at some stage and his hitting his clean and eye-catching. Perhaps his best 'skill' is temperament. He won't be fazed. Otherwise Marsh seems to have the most about him. Finch, so often a thorn in England's side, has characterised the Aussie malaise with his batting. He has been a major letdown.